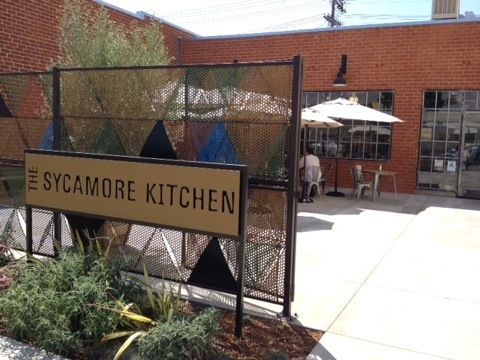 I was in Los Angeles two weeks ago and made a point to have lunch at the Sycamore Kitchen. I found out about this place by following the tweets of food critic Jonathan Gold. He was really tweeting about the potato chips. If you know me, I love me some potato chips. Put a chocolate bar next to a bag of chips and I will grab the chips. The Sycamore Kitchen is a cafeteria style establishment where you order your food at the counter and they bring it to you. I felt a bit overwhelmed as I got to the counter. My friend and I were likely to share a few things. 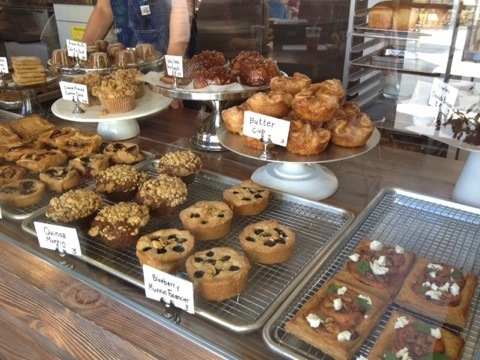 There was a chalkboard with a menu listed and a window filled with yummy looking pastries. I was immediately intrigued by the Double BLTA sandwich. 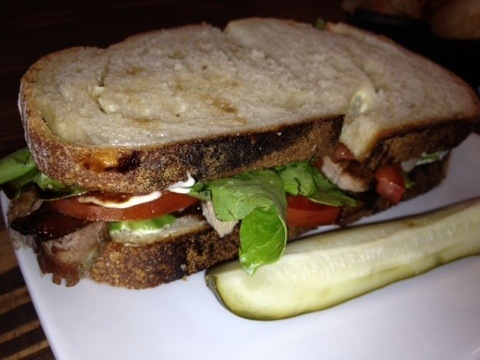 It consists of the usual bacon, lettuce, tomato, avocado, but it also had the addition of braised pork belly. This was a delicious sandwich. The crusty bread and the braised pork belly brought out a smokier taste that I liked. 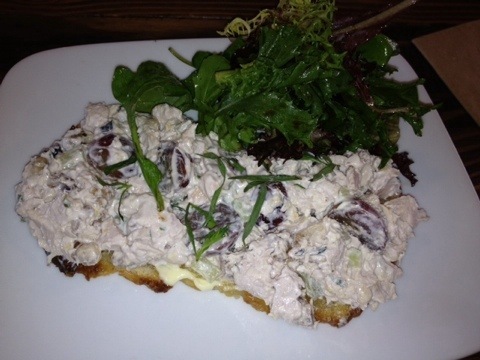 My friend who doesn’t eat pork got an open faced chicken salad which is prepared with grapes, walnuts, tarragon, and a Greek yogurt aioli. She enjoyed her sandwich as well. Mr. Gold says, “the real reason you should go to Sycamore Kitchen – why you should get in the car and drive there right now – is the little pail of potato chips you can order as a side, discs of pure crunch that somehow broadcast the presence of good oil without being at all greasy, are salted to a degree just on the gentle side of stinging, and taste of the very best potatoes. They are the best I have tasted in a lifetime of extensive potato eating, and I wouldn’t be surprised if the Hatfields somehow became the Laura Scudder of the 21st century”. I agree with Mr. Gold’s description of the chips, but disagree on his opinions. I don’t think that the potato chips are the reason to go and can’t say they are the best chips I have ever had. 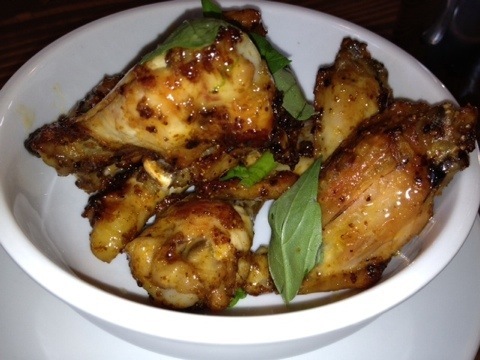 One of the specials that was available that day were chicken wings made with brown sugar, Aleppo chili, and Thai basil. My friend and I shared this appetizer. The flavors were delicious and finger licking good. 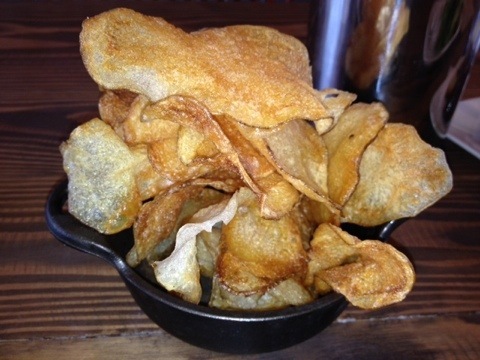 These would bring me back to the Sycamore Kitchen, not the potato chips. 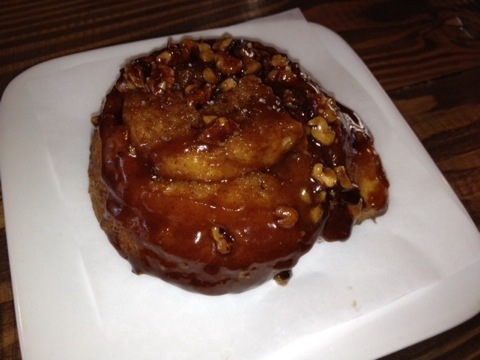 I had a bite of my friend’s salted caramel pecan babka roll. I will describe it as chewy, gooey, goodness. The modern twist to this babka is not only creative, but makes for a divine treat. My curiosity piqued on what other goodies were behind the counter window. I’ll have to wait for my next visit.